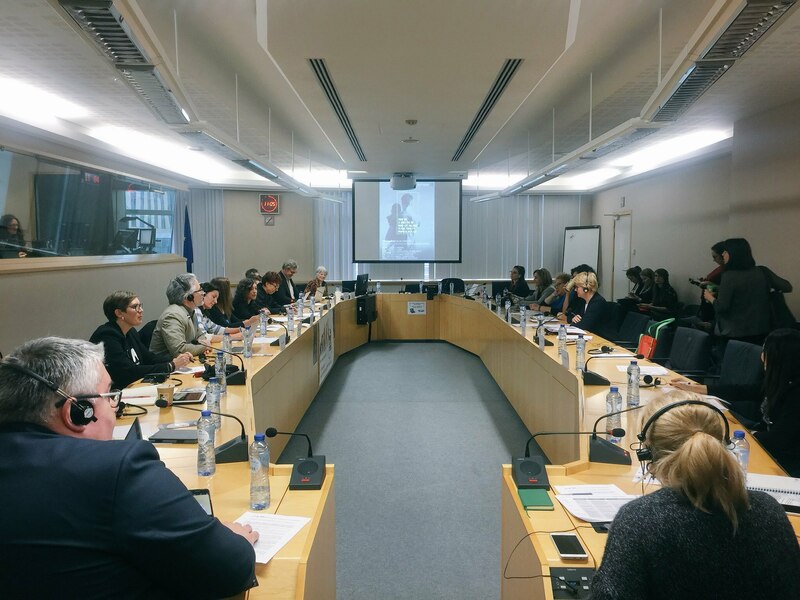 On November 29, thirteen members of PLENT participated at a round table in the European Parliament organized by the EP secretariat of Podemos and the GUE / NGL parliamentary group. The act had been convened to discuss with members of the EMPL (employment) and FEMM (gender equality) EP commissions about the proposal of Directive on Work-Life Balance recently presented by the European Commission. This proposal will be prosecuted in the EP in 2018. Some 50 people attended among MEPs and its support staff, representatives of civil society organizations and the general public. Podemos MEP, Tania González, introduced the event, which continued with presentations on PLENT’s position on the Directive proposal and, later, on the situation in the countries represented by the PLENT members present. 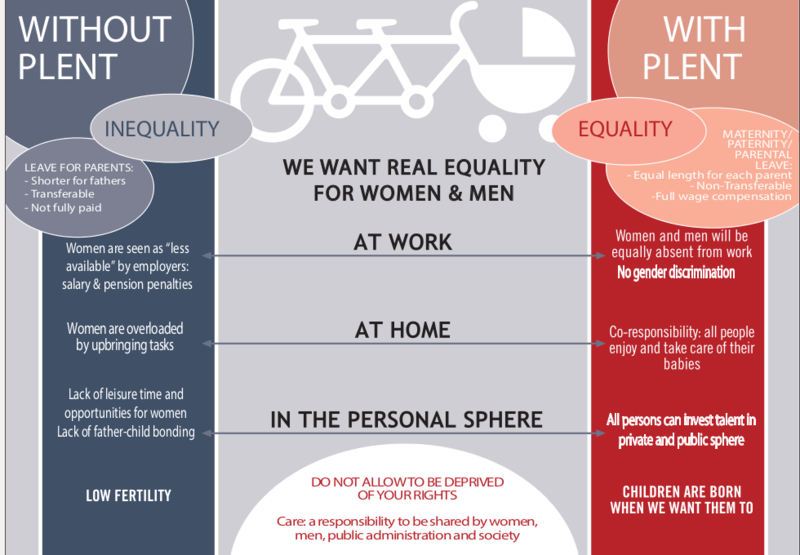 The European Parliament rapporteur of the FEMM committee for this Directive proposal, Agnieska Kozlowska-Rajewicz, of the European Popular Parliamentary Group (EPP), began the reply turn, expressing in general its agreement with the arguments of PLENT but disqualifying them because of being too “idealistic” and not feasible. Other MEPs shadow rapporteurs in the FEMM and EMPL commissions provided the counterpoint, together with the responses of some members of PLENT and interventions from the public. 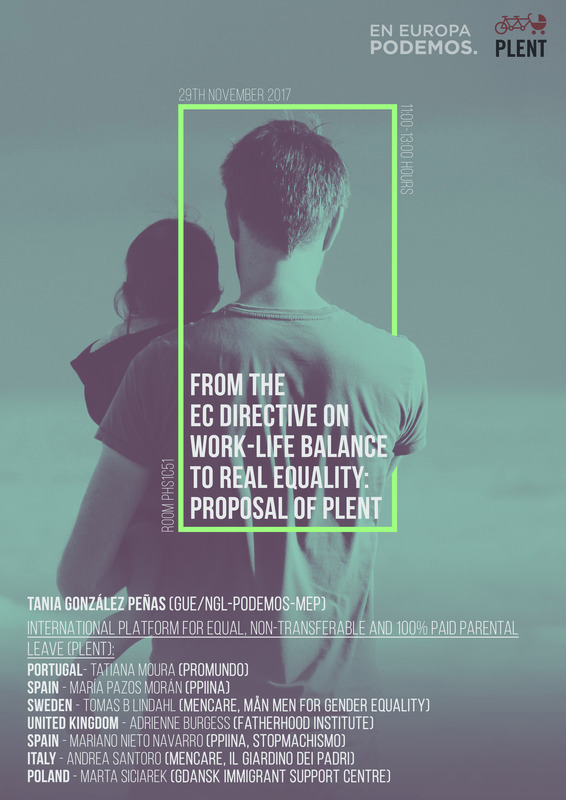 The members of PLENT explained that the egalitarian appearance of the EC Directive proposal is based on not taking into account the behavior of mothers and fathers according to the studies carried out in this regard or the already existing Directive on Maternity Leave (which would continue in force, according to the EC proposal). What is actually idealistic is to think that the EU’s objective of equal use of leaves will be achieved with this proposal. By making a realistic analysis of the design of the leaves proposed by the EC, the PLENT foresees that they would have the effect of most of the mothers taking about a continuous year of leave, whereas the fathers would only take two weeks from of the birth date and then 4 months in a piecemeal way until the child turned 12 years old. An inequality in the home and in employment that will have disastrous social consequences. 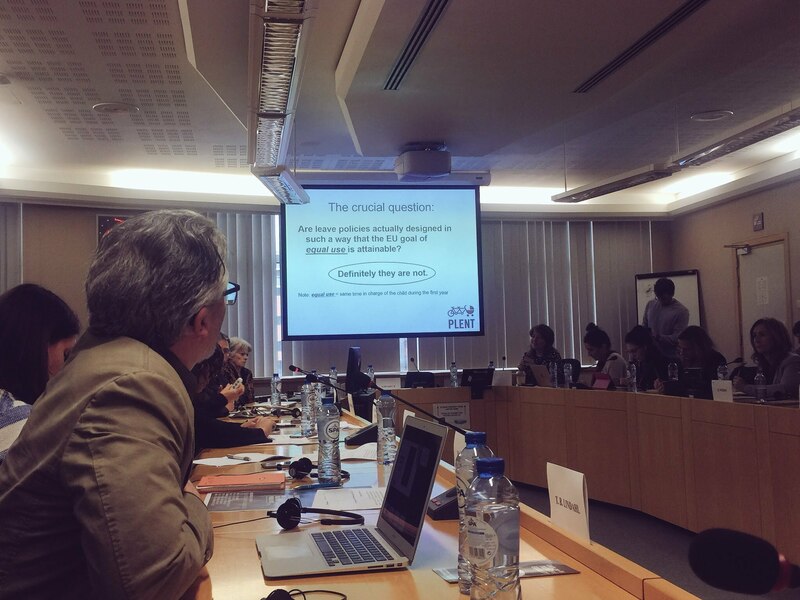 In this event, PLENT has managed to make its voice heard in the heart of European institutions. Will it be listened to?